We’re sushi fanatics. 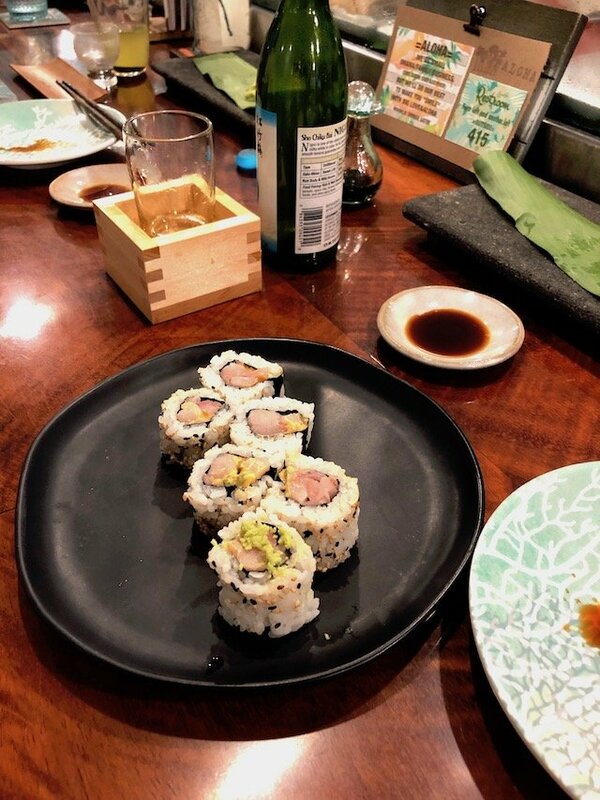 We’ve eaten sushi all over the world. 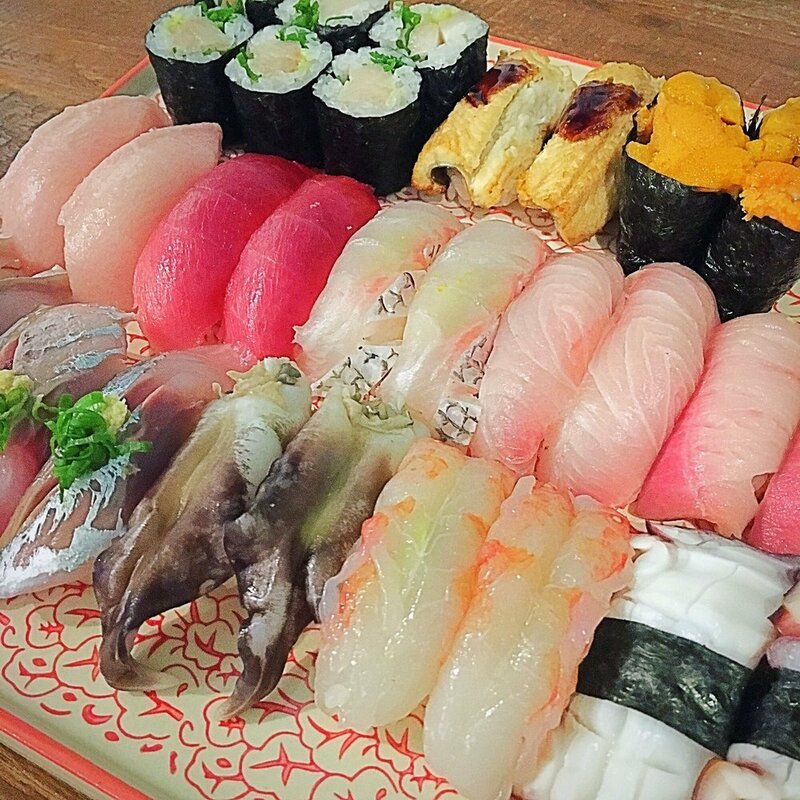 We’re pretty darn picky when it comes to our sushi. 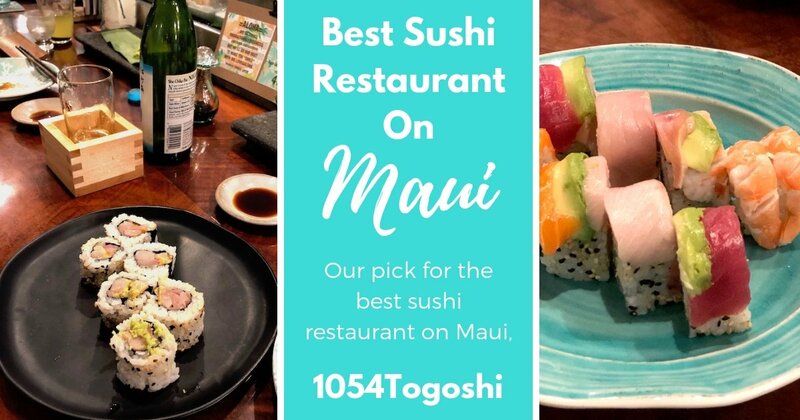 Now that that’s out of the way, let’s talk about our most recent discovery – Maui’s BEST sushi restaurant. I’m hesitant to even let the (yoga) cat out of the bag (you’ll understand the ‘yoga‘ bit in just a moment.) I fear that once I click the publish button on this post that the -hard to get reservations- for this place will become even harder to get. 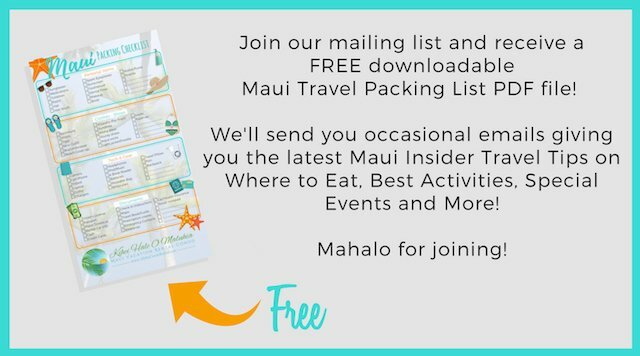 But in the interest of spreading Aloha, I’m going to let you all in on our sushi secret. 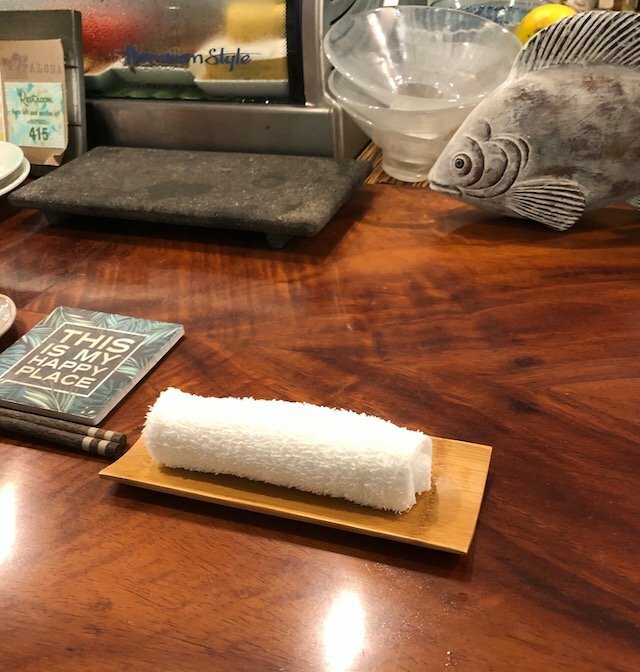 No Sushi – No Life. 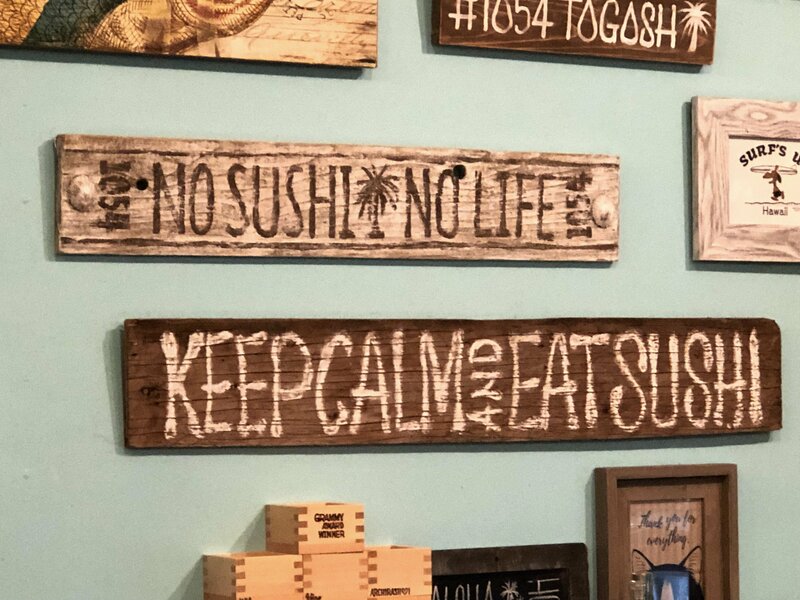 Keep Calm & Eat Sushi! 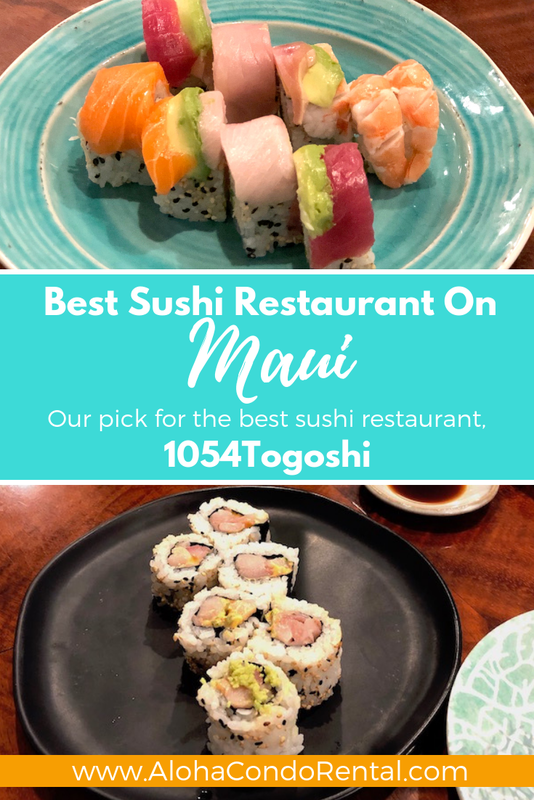 I can’t remember how we found this place – probably Yelp or Google Maps, but it’s not in a place you’d expect to find (in our opinion) the very best sushi restaurant on Maui. 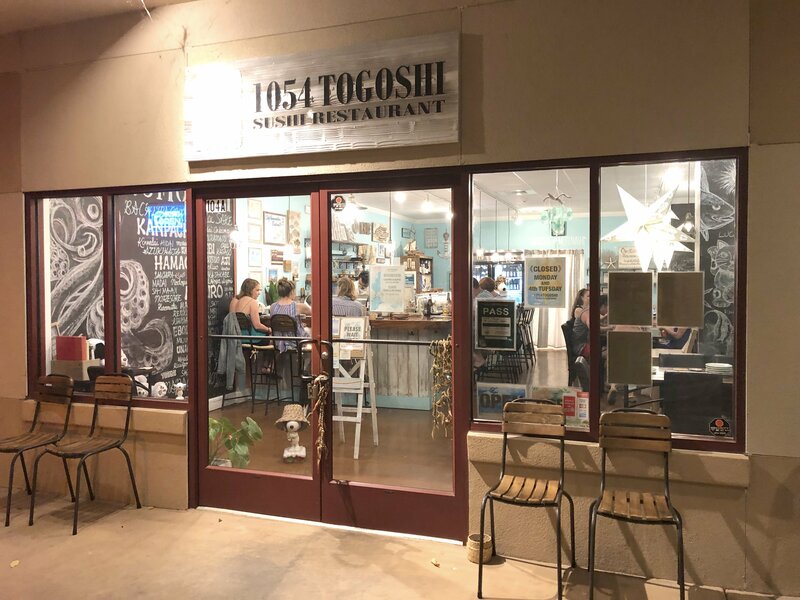 The restaurant is located in a smaller strip mall off the main thoroughfare of South Kihei Road, on East Lipoa Street. None of this matters because this hidden gem will delight and you’ll believe you’ve been transported to a top Tokyo sushi restaurant decorated with a Jimmy Buffett-esque style beachy theme. 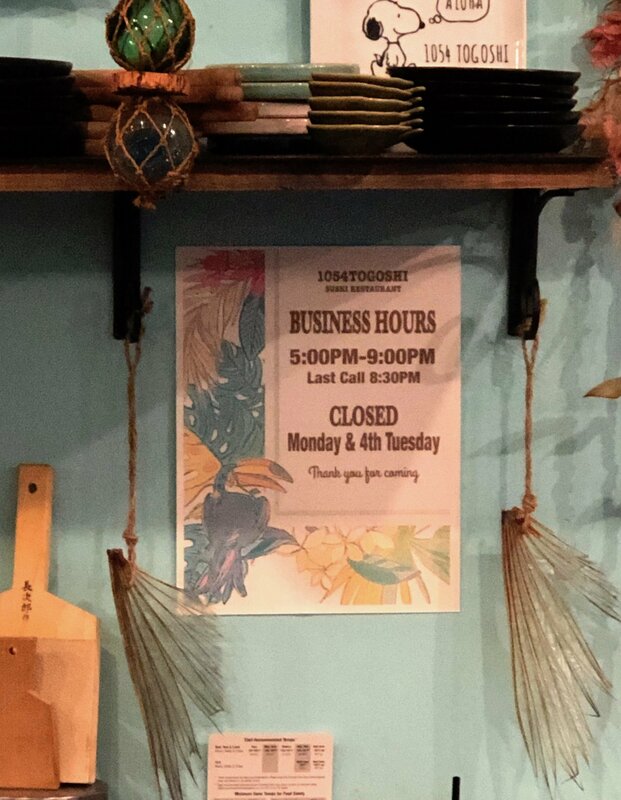 The owners clearly love the beach vibe the decor conveys and I must admit, that while it’s very busy, it does make this eatery feel less like a Japanese restaurant and more like a beach cabana! 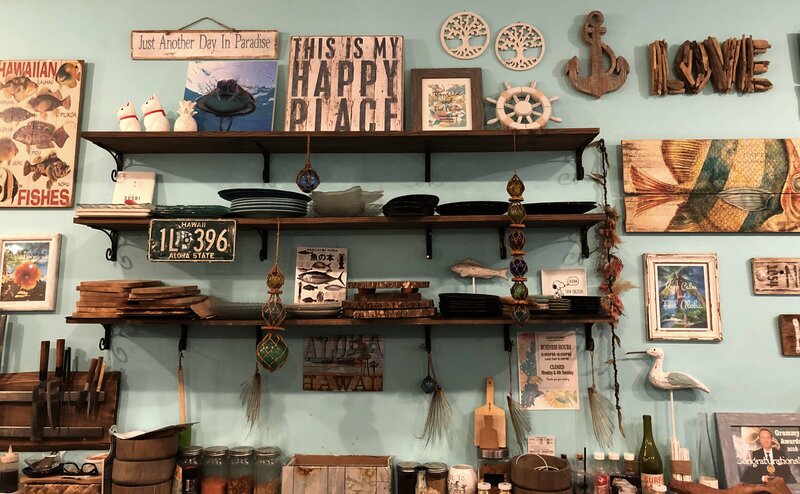 It’s fun, quirky, eclectic and very artistic, and I love it! 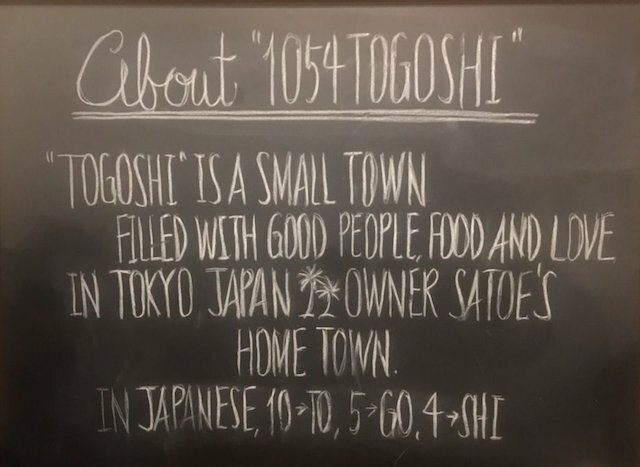 1054Togoshi is only open evenings and reservations are required. 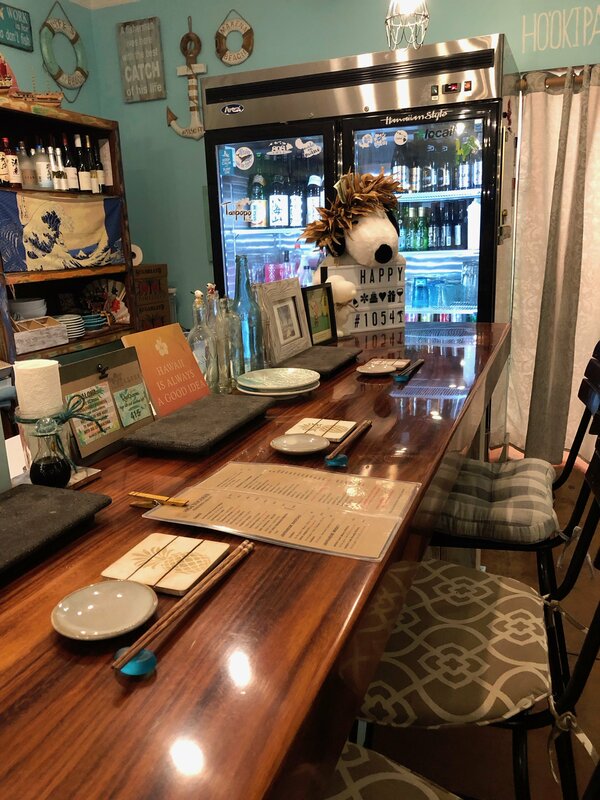 Seating is limited to about 9 at the sushi bar and there are only two tables (that I can tell) – one that seats four and the other up to 8. 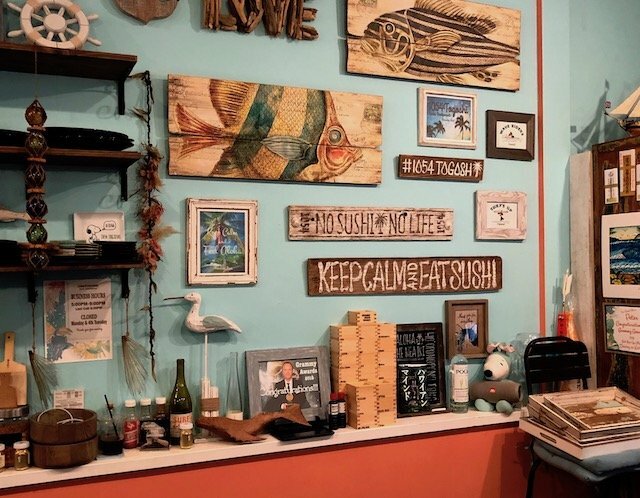 There are just the two owners, the sushi chef and his wife who is hostess, server and waitress. This duo do a fantastic job! 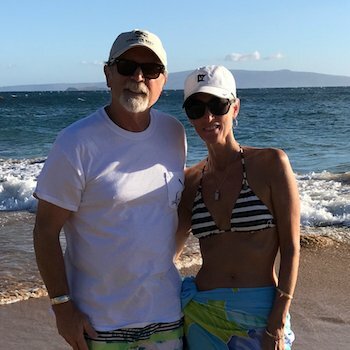 Warm Aloha is what you feel when you’re greeted at the door. Upon being seated you’re served water and given a hot, moist wash cloth to wash your hands with. That one feature places this restaurant high up on my authenticity scale. 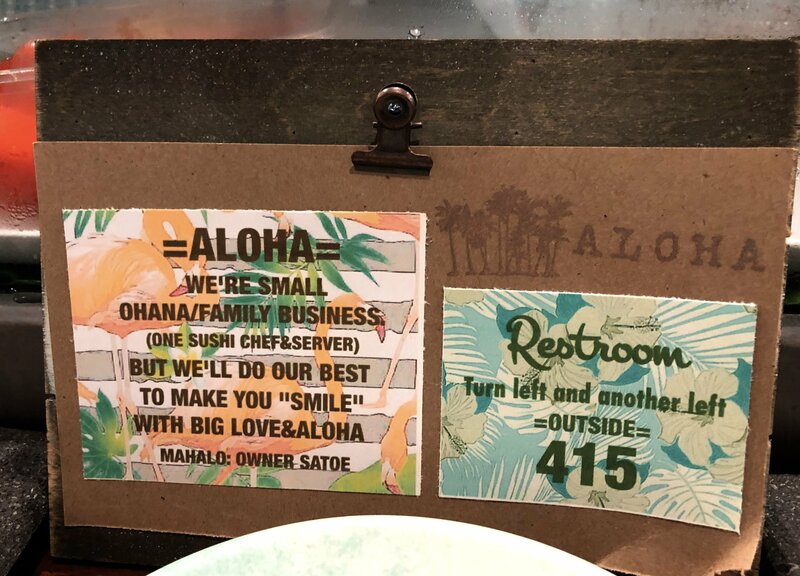 I absolutely love when Japanese restaurants provide this simple yet important and thoughtful touch. 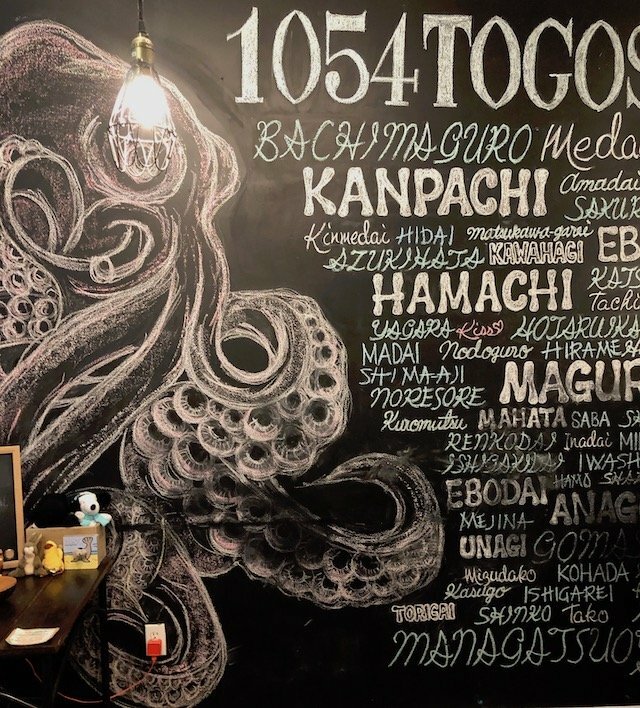 The menu is perfectly adequate in it’s offerings but don’t expect to find off the wall rolls dripping in aioli sauces with crazy names like Mucho-Macho Roll or Batman Roll. 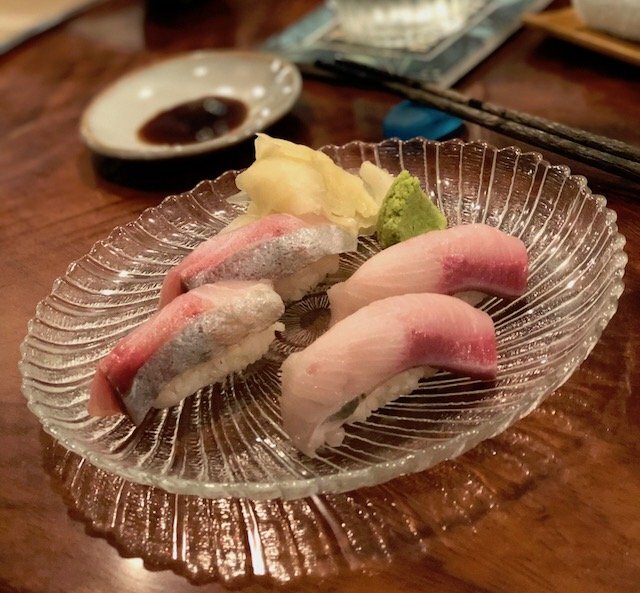 Nope, here you’ll find a few of the ubiquitous rolls such as ‘Rainbow‘ and ‘Spicy Tuna‘ but the real gems on the menu are the Sashimi, Nigiri, the items on the Pupu list and appetizers. Place your food order directly with the chef and be patient. 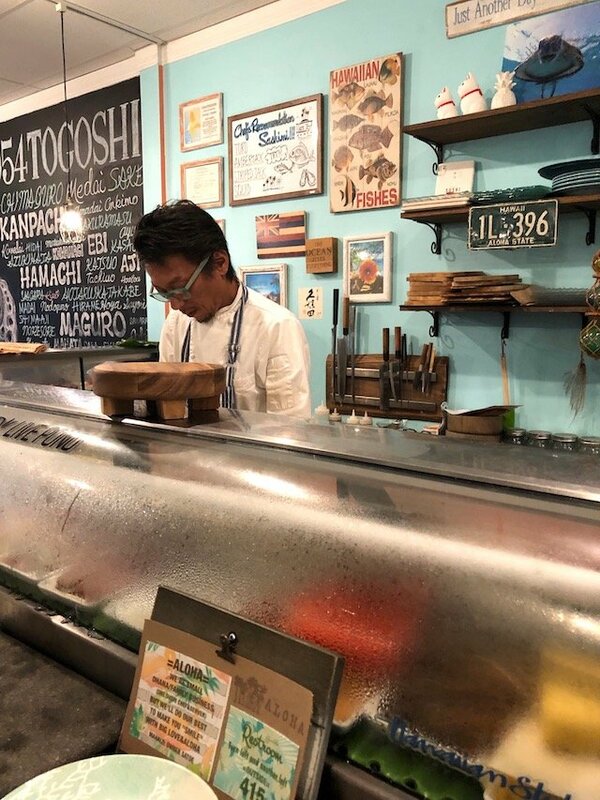 This truly authentic sushi arrives only as quickly as the chef can prepare it and depending on the time of evening – how busy the restaurant is. Trust me, every bite will be worth any wait you might incur. 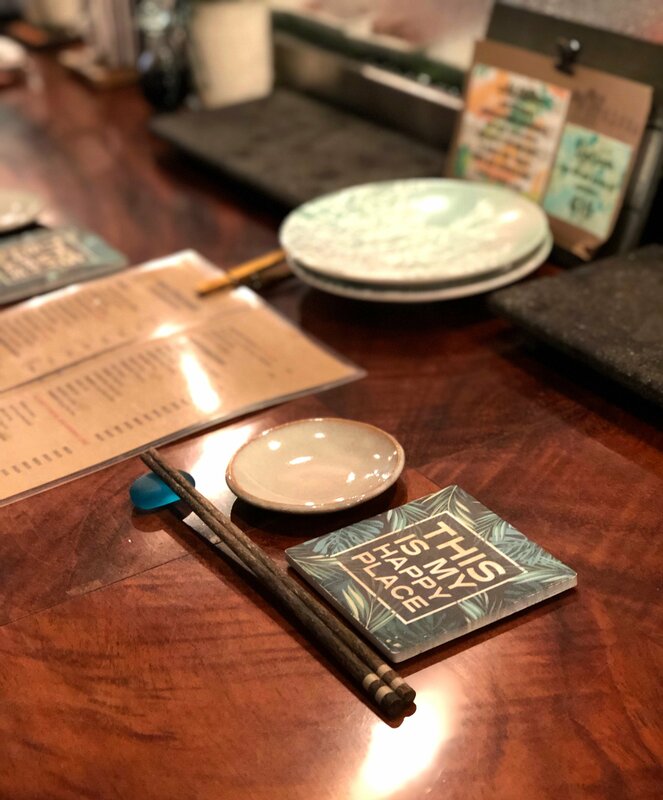 Speaking of the menu, the rest of the menu offers Sake (listed considerately in order of dryness), Japanese beer, Wine, *Shōchū, Japanese Whisky, softdrinks and of course prepared ‘just right’ macha green tea. *Shōchū is a Japanese distilled beverage less than 45% alcohol by volume. It is typically distilled from rice (kome), barley (mugi), sweet potatoes (satsuma-imo), buckwheat (soba), or brown sugar (kokutō), though it is sometimes produced from other ingredients such as chestnut, sesame seeds, potatoes or even carrots.Typically shōchū contains 25% alcohol by volume, which is weaker than whisky or standard-strength vodka but stronger than wine and sake. 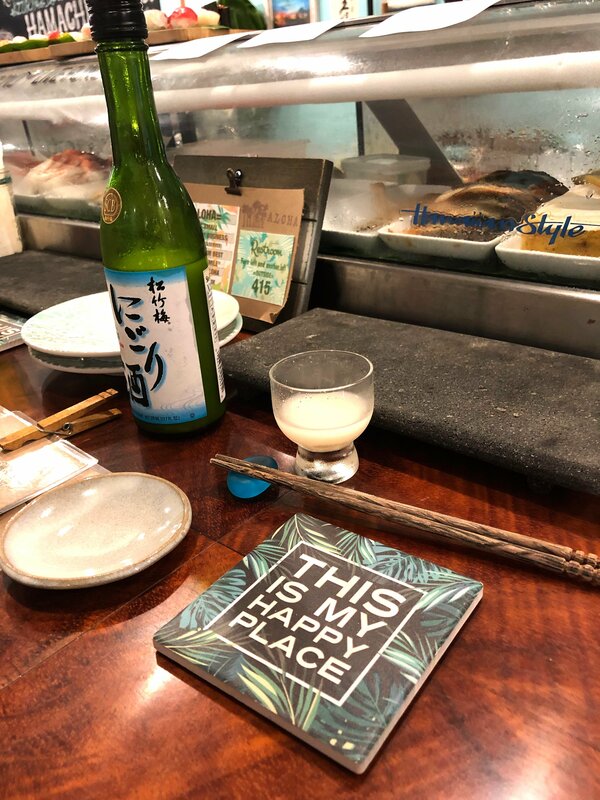 We tried the Takeno Tsuyu sake first – it’s delicious, unfiltered and very much on the sweeter side. Our second sake was the Tamano Hikari, much dryer and clear, crisp and smooth. I recommend both BUT not in the order that we tried them. Before this becomes the longest restaurant review in history, lets get down to business shall we. What we ordered! 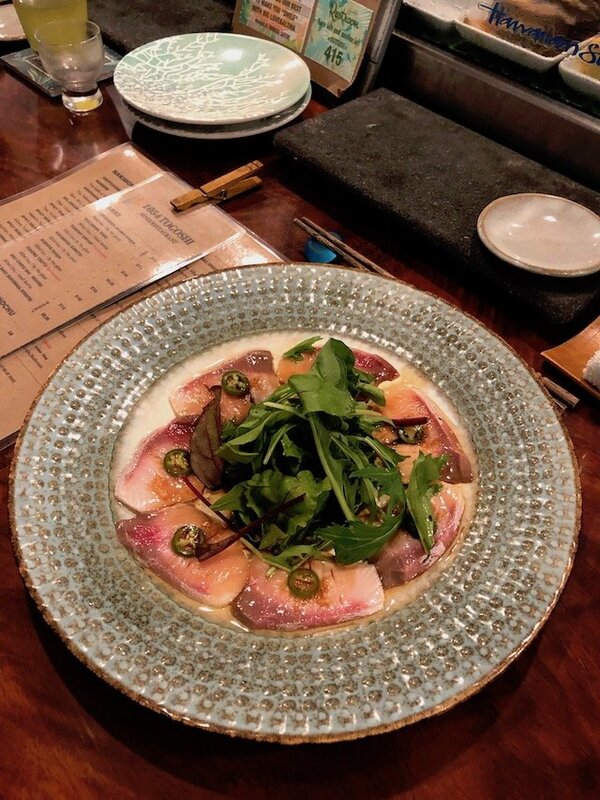 We started off with the Yellowtail Carpacio with garlic, jalepeño, local greens, Yuzu soy and olive oil. Next was traditional nigiri. But it was anything but run of the mill. The fish was as tender and flavorful as I’ve ever had and the sushi rice, perfectly formed was quite literally the best I’ve ever had. It was slightly warm, seasoned to perfection and just the right texture. Magnificent. I could have just eaten an entire bowl of just sushi rice! I also must say, that it is better than any I had in Japan. 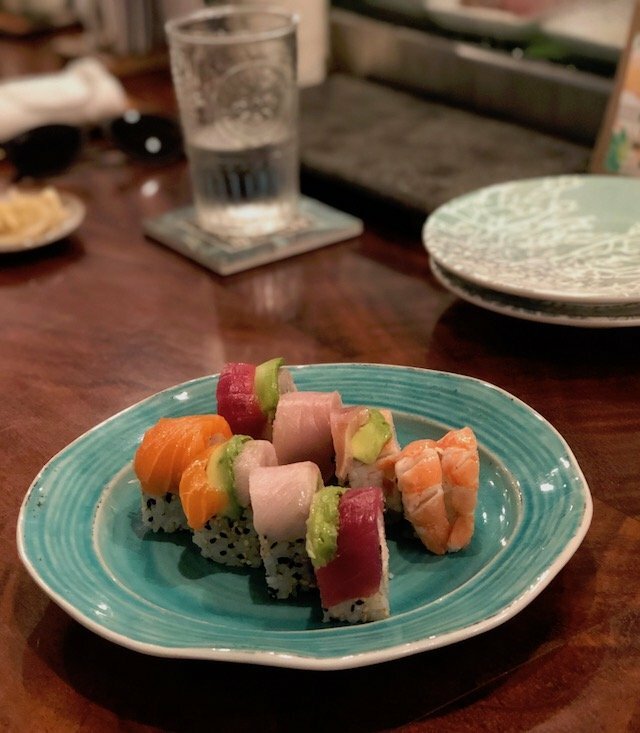 My companion opted for the Rainbow Roll and for a standard roll, it did not disappoint. 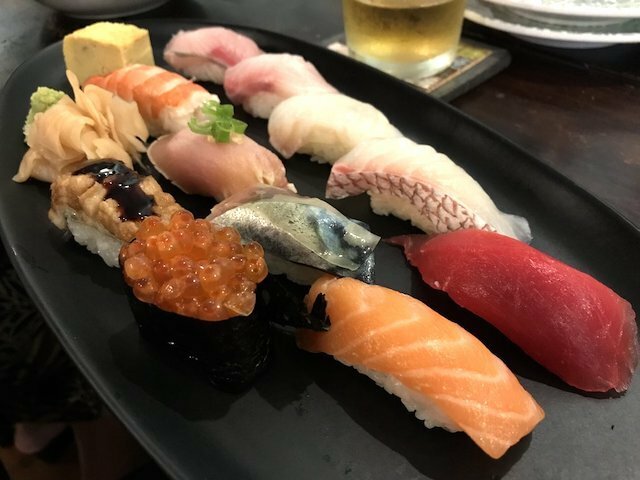 I went back for more nigiri. Oh my!! Big pluses for me are the ginger, which doesn’t contain food dyes and the GENUINE wasabi the chef uses. More points in my book! All in all I tried the Hamachi, Kanpachi, Yellowtail and one other on the special menu that I don’t recall the name. 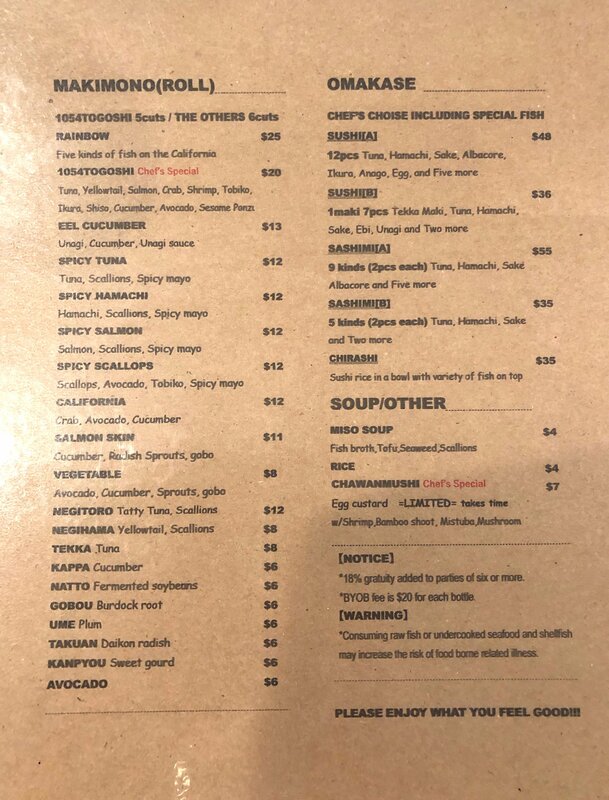 Be sure to try something from the ‘Special’ menu!! This is the 12 piece Sushi “A’ combination. Which my other companion had and said was amazing. It was so amazing that we didn’t get a photo of it before it disappeared. 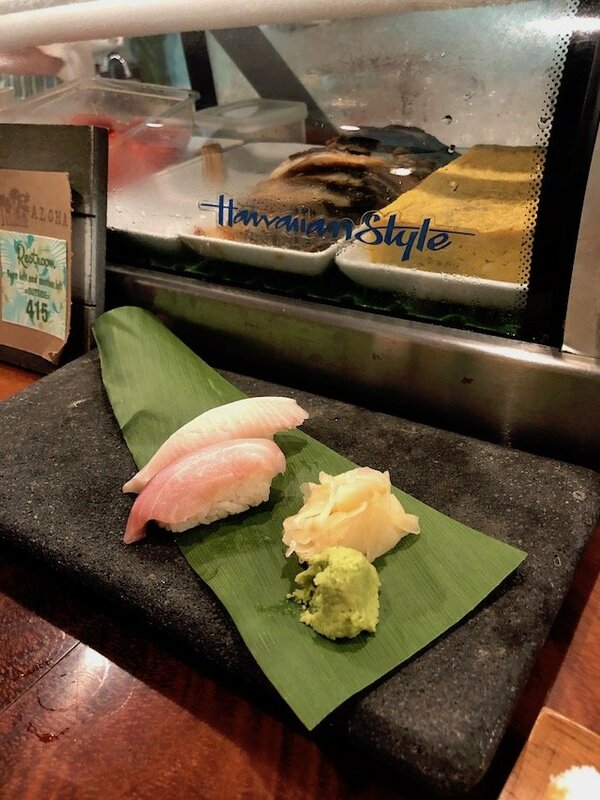 Photo by Wayde T. via Yelp. And finally I opted for a spicy Hamachi roll. Decadent! 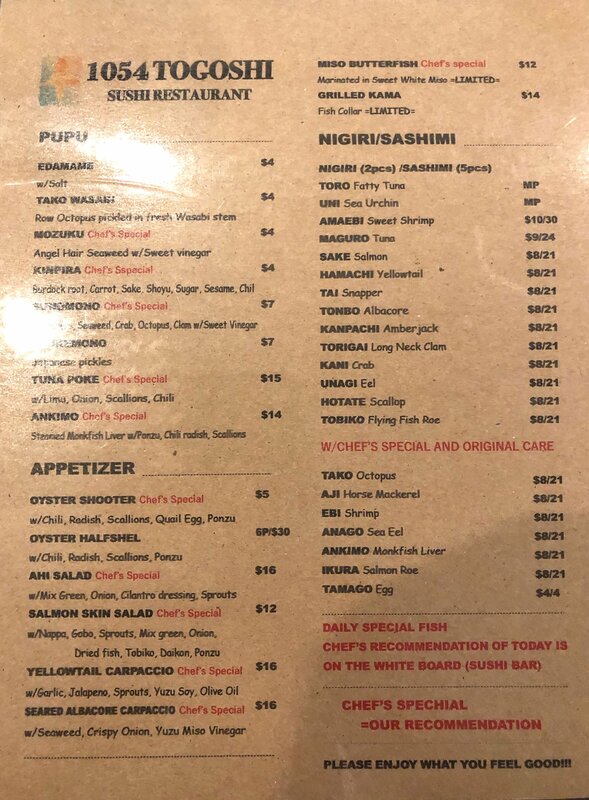 We found the prices on par with the other sushi restaurants on the island (except for Morimoto Maui which is very expensive, though delightful but we left very hungry!). The portions were slightly on the smaller side but you are getting extremely high quality fish and the price reflects that. The service is on par with what you’d expect for just two people working and doing it all. Some reviews online complain about this but I’m a ‘go with the flow’ type and it never bothered me as I didn’t find the service to be slow. In fact, the service we got was great, super friendly, we didn’t wait too long, and were generally very satisfied. 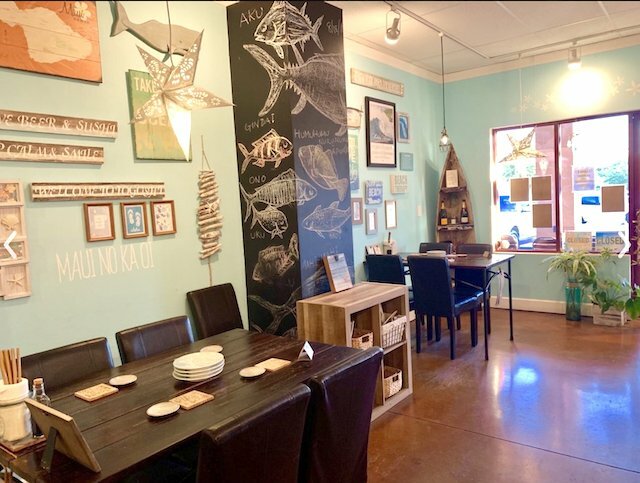 This restaurant is clearly a labor of love for the owners and if you’re patient and adopt a ‘Maui Time’ mentality (I recommend that for ALL things on the island) you will greatly enjoy yourselves. Note that LAST CALL (for both food and beverages) is at 8:30 and they mean it. 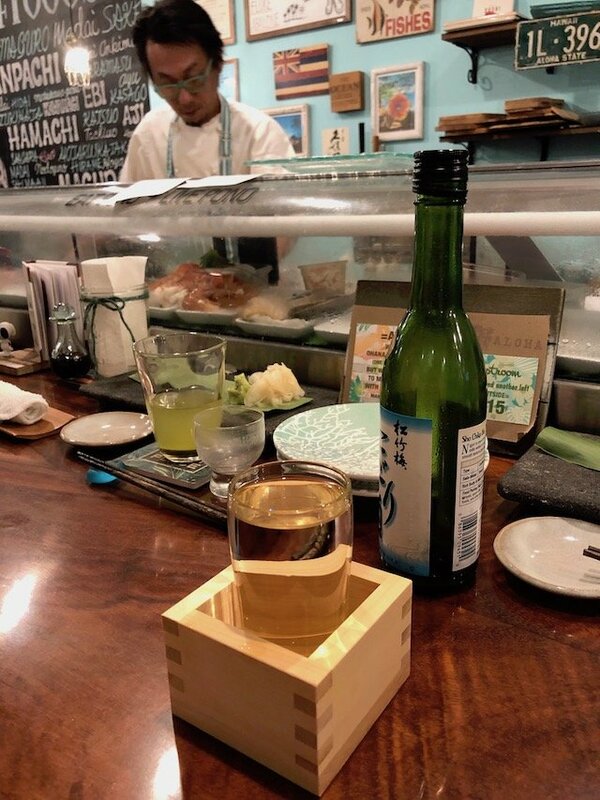 Though they did bend it a bit for a 2nd glass of Sake for us. Overall, both of my dining experiences were great. The food was great and the prices what I’d expect for the quality. Bottom line, WE LOVED IT! 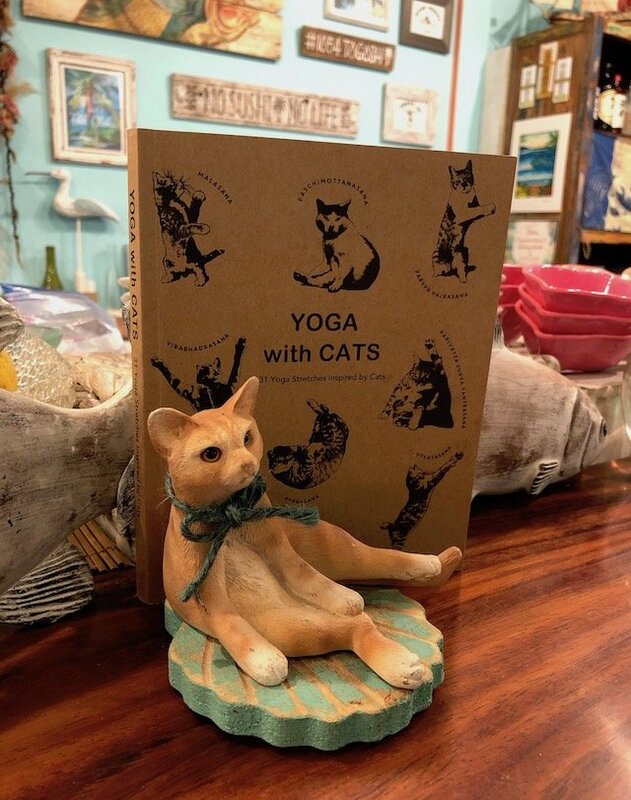 So what’s the deal with the Yoga Cat? My seat featured a very nice book entitled ‘Yoga With Cats’ which is hilarious, and propping it up is the cat, in (I believe) the forward fold position! Such a hoot!